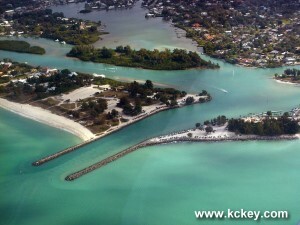 Casey Key in Sarasota, Florida is a barrier island that runs from the south end of Siesta Key to the North Jetty at Venice Inlet (below). 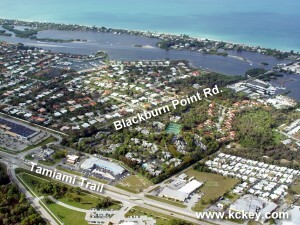 Large homes line the beach and bay on both sides of Casey Key Road which is reached at the north end by Blackburn Point Rd. 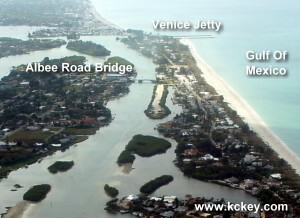 in Osprey, FL and at the south from Albee Road in Nokomis, FL.